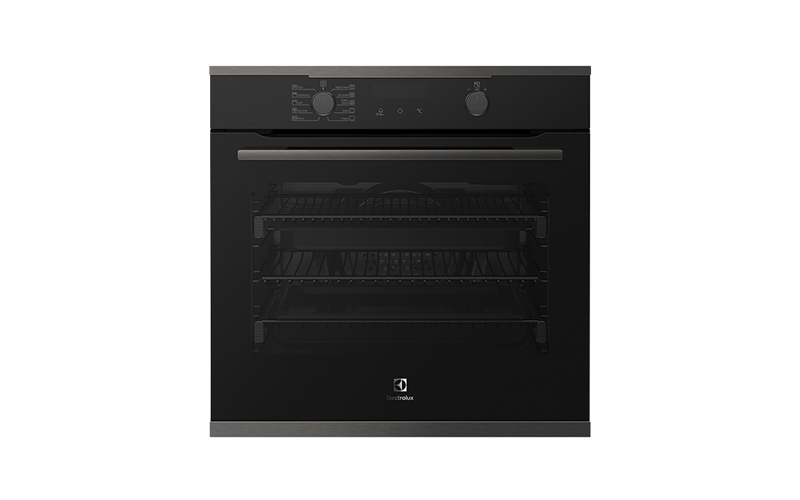 60cm Dark stainless steel 10 multifunction oven with Bake +Steam, pyrolytic cleaning, knob controls and Smart Food Probe. Adding steam to your Baking Program can lift your baking skills to a whole new level. The Bake +Steam function on this oven uses a touch of steam to create a richer and glossier colour, a crispier crust and soft delicious texture for your home-baked goodies.